Add the latest ProLiant BL460c server blade by Hewlett Packard Enterprise to your HPE Gen10 servers . The ProLiant BL460c Gen10 Server Blade from Hewlett Packard delivers outstanding performance in the converged data centre with lower cost. 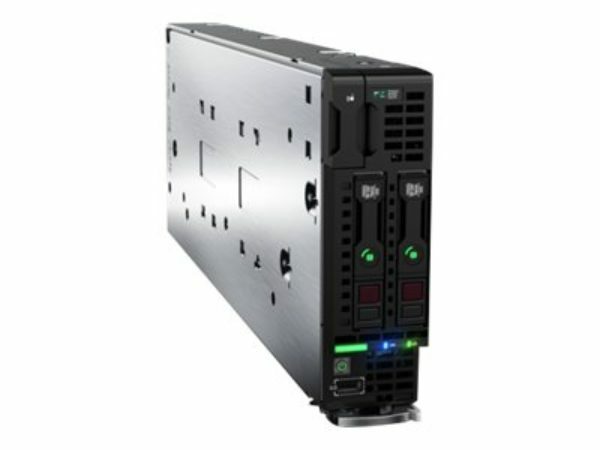 This Built-to-Order ProLiant BL460c Server Blade from HPE boost an increase in computer performance with Intel Xeon Gold 5120 / 2.2 GHz. Connect to network devices with flexible embedded storage controller options, SAS and HBA options. This 2-way 14 core and 16 slots PC compatible Server Blade comes with 64 GB Memory and allows for a maximum of 1.5 TB. Managed by OneView Management console. The HPE ProLiant BL460c Gen10 server blade reduces licensing costs by modernizing IT infrastructure. and Improves time to value with faster server deployment, allows to capitalize on business opportunities in an increasingly fast paced environment. The HPE ProLiant BL460c Gen10 server blade provides optimized and pre-selected server profiles for optimal workload performance. Reduce IT deployment, maintenance time and support costs with software-defined templates to automate server deployments.